Nostrification is a procedure of recognition and ascertainment of equivalency of foreign education certificates to Russian ones. 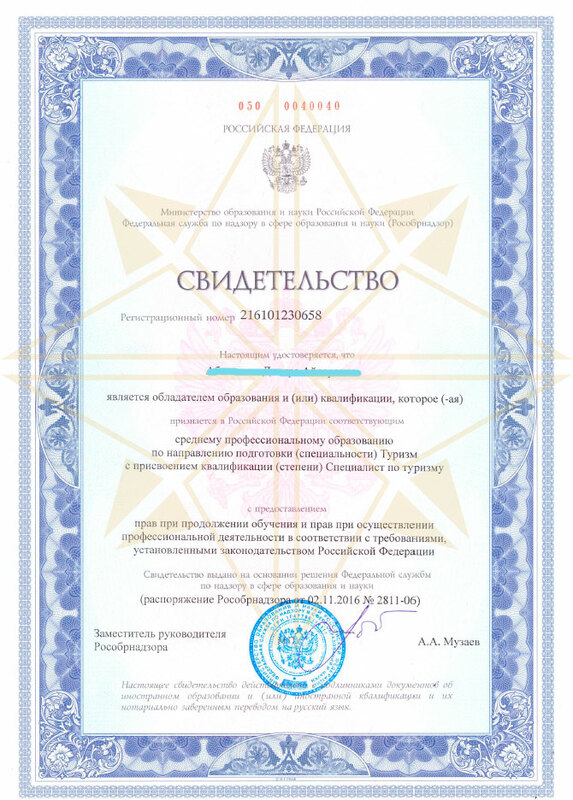 Nostrification allows establishing the degree of compliance of educational documents with the relevant level of education in the Russian Federation. Recognition and establishment of equivalence is confirmed by a specific certificate, with the issuance carried out by Main State Expert Centre for Education Estimation (Glavexpertcentre). Nostrification includes examination, acceptance of decisions and issuance of a certificate. 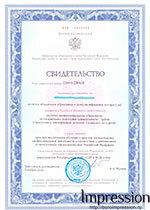 Nostrification of a certificate with the application obtained in a foreign country is required to enroll in a higher educational institution in the territory of the Russian Federation. Nostrification of a diploma with the application obtained in a foreign country is necessary to get a job or enroll in a higher education institution to obtain a second higher education in the Russian Federation. Nostrification of educational documents is required not only to foreign citizens who arrived in Russia, but also to citizens of Russian Federation who have received their education abroad. Recognition and establishment of equivalence of documents on education is carried out at the request of the holder of the document or the organization concerned. If necessary, an applicant may be required to provide additional documents (detailed description of the courses; data on the previous education, etc.). international equivalence agreements and commitments signed and accepted by the Russian Federation. The process of nostrification shall take about 2 months. As a result of recognition and ascertainment of equivalency of foreign education certificates you will receive Nostrification certificate, issued by Glavexpertcentre, which has registration number, date of issue and an official stamp. If you have a need to make nostrification of your educational documents for use in the Russian Federation, we invite you to our translation agency "Impression"! Translation bureau "Impression" provides professional assistance in the procedure of nostrification of educational documents, and our experienced staff is happy to answer your questions!